You're going to have lots of layering fun with the Just Because Clear Acrylic Stamp Set by Concord 9th! 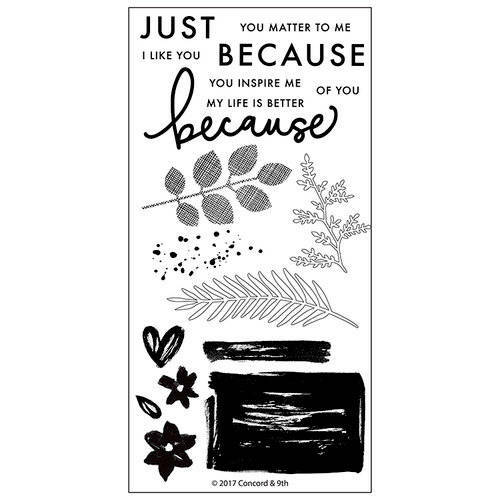 This set consists of inspiring sayings and gorgeous foliage that are perfect for your card creations. The set coordinates with the Just Because Die Set and can be used with an acrylic block each sold separately. Included are 18 photopolymer stamps on a 4" x 8" storage sheet.